Adding a solar electric system to your home is a wise and safe investment. It is one of the only things you can do to increase your property’s value over time. The longer you have it, the more money you save. It just keeps working for you! When you buy a solar photovoltaic (PV) system, you can also rest easy knowing that you will get your money back if you decide to sell your home. Why? Because buyers are willing to pay more. Buyers Are Willing to Pay More. To put it simply, a home with homeowner-owned solar panels will sell for more than one without solar panels. If you own an average-sized solar photovoltaic system, then buyers are willing to pay almost $15,000 more for it, or about four additional dollars per watt of solar power. These findings are supported by two studies led by researchers at the U.S. Department of Energy’s Lawrence Berkeley National Laboratory (Berkeley Lab). It’s important to note that this study only looks at homeowner-owned PV systems -- not systems that are leased/owned by a third party. Report findings showed that, on average, PV systems less than 12 years old in each of the six states analyzed (California, Florida, Maryland, Oregon, North Carolina, and Pennsylvania) sell for an average of $3.78 more for every watt of solar they have. The study points out that price per watt is the most appropriate metric for valuing PV systems. This is because using the premium as a percentage of the home sale price is inconsistent, as it varies widely by the system size and price range of homes. It’s also important to note that the study looks at sales occurring primarily between 2011 and 2013, so these rates may not be accurate for today’s market. However, the study’s findings also supported a larger study called “Selling into the Sun: Price Premium Analysis of a Multi-State Dataset of Solar Homes” that analyzed premium rates for host-owned solar pv systems in eight states from 2002-2013. While these studies look at the average premium rates, homeowners should also recognize that the property value advantages of solar energy increase as you scale up. For example, if you have a larger system, then you can expect to sell your home for more. Houses with homeowner-owned solar electric systems sell for approximately 17-20% faster than homes without solar, according to the Department of Energy’s 2015 study on solar premiums. 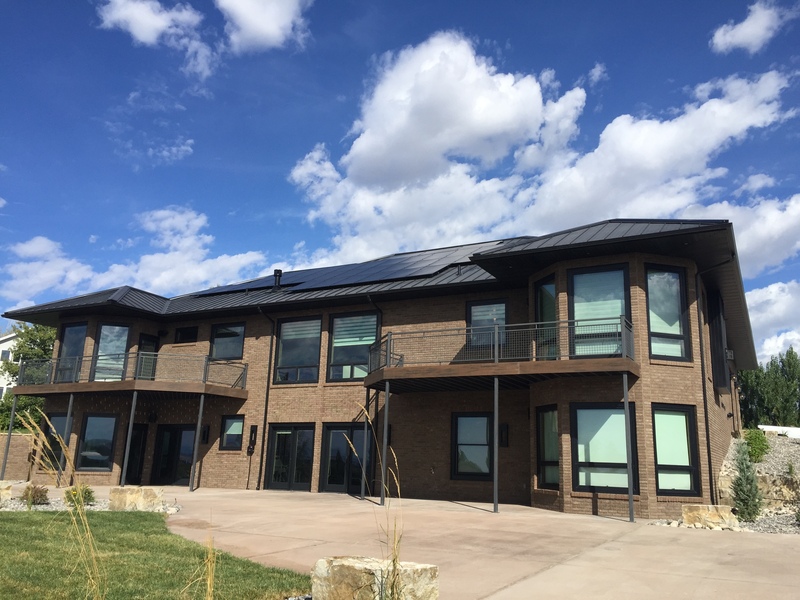 Homes with solar electric systems are generally more appealing, as buyers can move in and start saving money on their electric bill right away. If they are interested in adopting solar energy, they also don’t have to worry about finding someone to install the system themselves. It’s less work all around. Protect Yourself From Energy Rate Increases. If the utility raises the electric rates (which you can bet it will), it won’t matter for you since your rates are “locked in.” As utility rates increase, your electricity bill savings increase as well. If you decide to never sell your home, you win. The cost of installation will pay for itself multiple times with the amount of money you are saving on power. And if you do decide to sell your home, you win. Your home will sell for more, and that premium will certainly pay for the cost of installing panels. Not to mention, you will have already saved a boat load of money on your power bill! When you invest in solar, you can enjoy the returns the moment your system is ready. Instead of putting your money in a financial institution, why not invest in solar? Every day, you can come home and see the panels on your roof and see it working for you.